As part of my stand against a serial cyber-harasser, I’ve been warning individuals and companies that she targets. Her pattern, when it comes to companies, is to claim that her searches for business registrations came up blank. She claims that this is proof that these companies are not licensed and, therefore, frauds. These aren’t tiny companies, either, but some pretty big, even international, companies. Her method appeared, to me, to be fatally flawed. She was relying on the Better Business Bureau’s search tool. The problem here is two-fold. First of all, businesses don’t need to register with the BBB. It’s voluntary. Secondly, it isn’t a business license search. It’s a business *review* search tool. You can use this to find out if a business had complaints filed against it to the BBB, but you can’t use it to find every licensed business in the US. As she claimed to be unable to find these registrations, I began to wonder. Could I? I pride myself on my Google-Fu and wondered just how long it would take me to find an organization’s business registration. Once I was consistently able to find them, I figured I’d blog about my method. First, we need to visit the sites and find out in which state they are located. Bendon’s Contact Us page mentions Ohio, PictureIt Creations’ contact number is in a 734 area code which is in Michigan. MomSelect is a bit more complex as their web page mentions that they are part of BSM Media Inc. Therefore, we should really look up BSM and not MomSelect. BSM’s contact page lists Florida as their state. Easy, right? Let’s try PictureIt Creations now. Searching Michigan’s database gives us this registration. Ok, so we’re two for two now. What about MomSelect / BSM Media? Searching for “BSM Media” gives this result. Three for three. 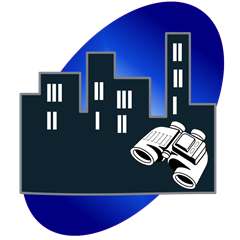 You can use this to find nearly any registered business in the United States. Go ahead and give it a try. 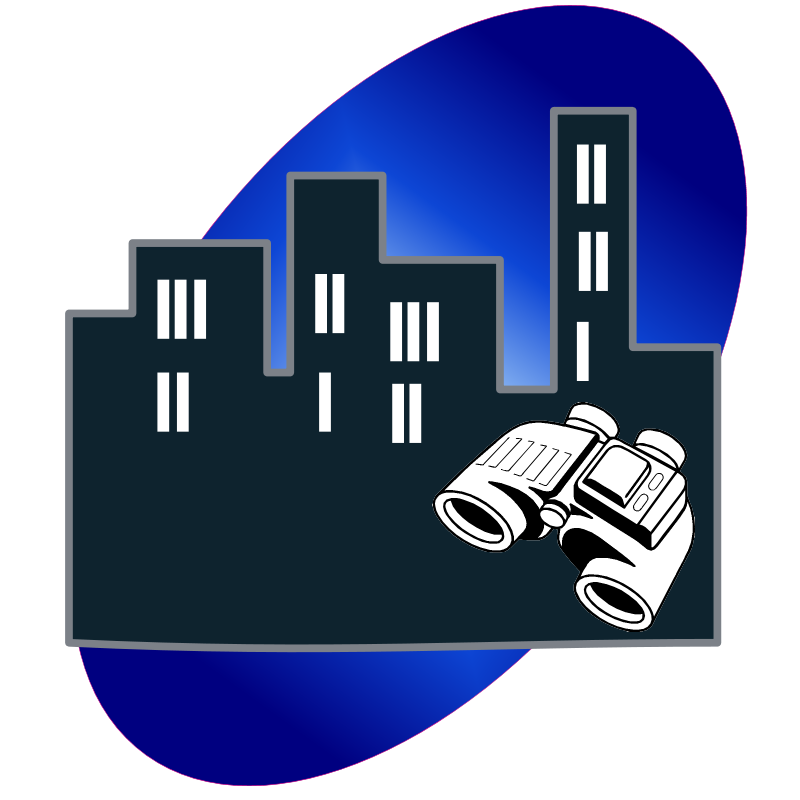 Graphic derived from building and binocular clipart from OpenClipArt.org. Great list of resources. But keep in mind that some companies may not show up because they use a Tradename or possibly their company name is not the same as their website or even posted on their site. Further, sole proprietorship organizations do not require registration and are legitimate businesses. Just because a business can’t be found in some database doesn’t mean it’s not ‘real’. Sadly trolls exist, and often aren’t very smart. They find data that supports their hypothesis and then proceed in their harassment, regardless of the truth. Too bad there is no legal cause of action for stupidity. As for legal cause of action, we’ve actually explored legal avenues (for harassment and/or libel). Sadly, the troll is in Canada and we’re in the US. International legal actions are very tricky to do so there really is no legal remedy.